Naughty Dog's Neil Druckmann thinks AAA development studios like his own can learn a lot from the innovative stories of independent developers. Stories in video games have come a long way. Naughty Dog's breakout Crash Bandicoot series was practically devoid of plot, while the studio's most recent title The Last of Us approached complex themes of sacrifice and subjective morality. Neil Druckmann, who joined up with Naughty Dog in 2004 and served as creative director on The Last of Us, is proud of how far game narratives have come - but he still thinks we've got a long way to go, and that it's the indie games that are showing AAA studios how it's done. "With big AAA titles, it's sometimes hard to make these gigantic shifts as far as what a game is, or what kind of story it could tell," Druckmann says. "As more and more examples come to light, I think more people are pursuing better narratives." 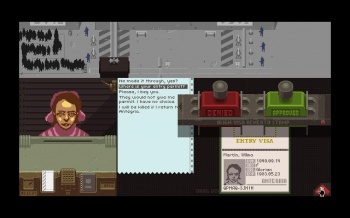 He cited two recent indie games, Gone Home and Papers, Please, as examples of games that are changing the way developers think of game narratives. "A lot of times in AAA games people feel like they need to play it safe because there's so many parts of a giant corporation working on a global scale to launch a title that they don't want to take too many risks. But once you have enough evidence to say 'Hey look, this is actually not a risk, this can succeed commercially,' then creativity can flourish and new avenues can be pursued."